The African Sky leadership team, board members and volunteers invited the global community to the Annual Silent Auction Benefit in Akron, Ohio, September 18, 2016. African Sky Executive Director and Founder Scott Lacy shared his passion for partnerships between Mali and the United States. The evening also included an exciting African Sky leadership panel that highlighted recent achievements by our project and administrative leaders. Scott and the leadership panelists encouraged the crowd to celebrate new volunteers and board members, and our dynamic projects in Mali, including the opening of a new center in Senou. Upcoming projects include a podcast, solar panel installations at community health clinics, and increased partnerships and cultural exchanges between schools in the United States and Mali. Education Program Director Eliza Swedenborg received the Solomane’s List award for her passionate leadership, selflessness and unparalleled service to African Sky. Eliza has worked on several collaborative projects centered on improving academic performance, future employability, and global citizenship of high school students. Project of the Year was awarded to Max Diaz and Lukas Baldrige for “Kinife,” a pilot project in which Returned Peace Corps Volunteers of Mali can provide their host families with rice. The African Sky Silver Seed Award was presented to Cherie Wade for her generous support over the years. Susan Schunk, Kevin Dreslinski, and Linda Peshina received the Ciwara Award for their distinguished service to the organization. The Gardner Family received the Golden Heart Award in appreciation of all they do as a family to make our annual silent auction event possible. Scott also introduced our new Board President, Jeremy Coats. Jeremy is a Mali Returned Peace Corps Volunteer and brings a wealth of leadership experience and passion to the organization. 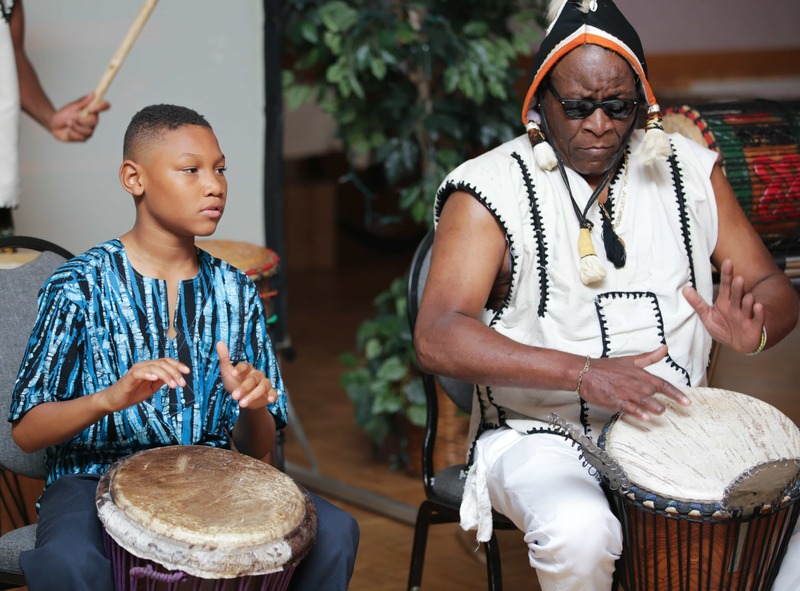 Olu Manns and HeartBeat Afrika filled the evening with energetic West African drumming and dancing. The silent auction featured dozens of items on display, including a stay at a vacation home, and a giving tree that allowed attendees to purchase essentials for Malian families, including school supplies, goats, and chickens. Thanks to Board Members Jamie Newhall and Amy Freels, the 2016 Silent Auction was broadcast live on our Facebook page so friends and partners from Mali and across the US could join in from afar. The fun-filled evening brought together supporters to learn more about African Sky’s work and to celebrate the organization’s accomplishments and partnerships. The annual event remains the cornerstone of African Sky’s fundraising efforts. This year’s Silent Auction Benefit will be held at Kent State University in September 23, 2017. Photos provided by Eric Bailey from Wing It Photo.